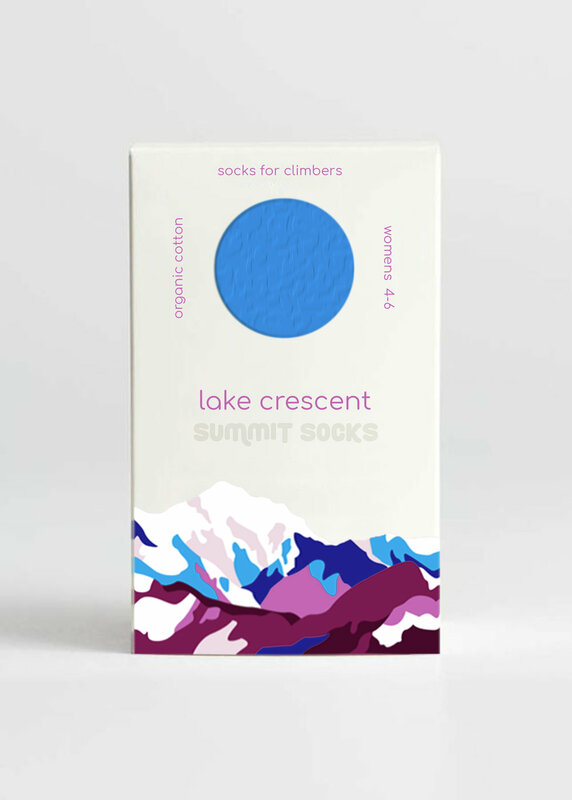 Brand design and packaging created for a new line of Summit climbing socks. Summit Socks are made form organic cotton and are simple and sustainable gear form climbers and hikers. I created the brand design and packaging design to match their eco-friendly mission. I created the logo for Summit Socks, and created a cohesive brand through typography, colors, and graphics. I designed the mountain graphic in Adobe Illustrator, which matches the sock color on each package. I also designed the peek hole to view the style and color of the sock, as well as the layout of the packaging design.